Recently I’ve got my hands on the new FiiO X1. 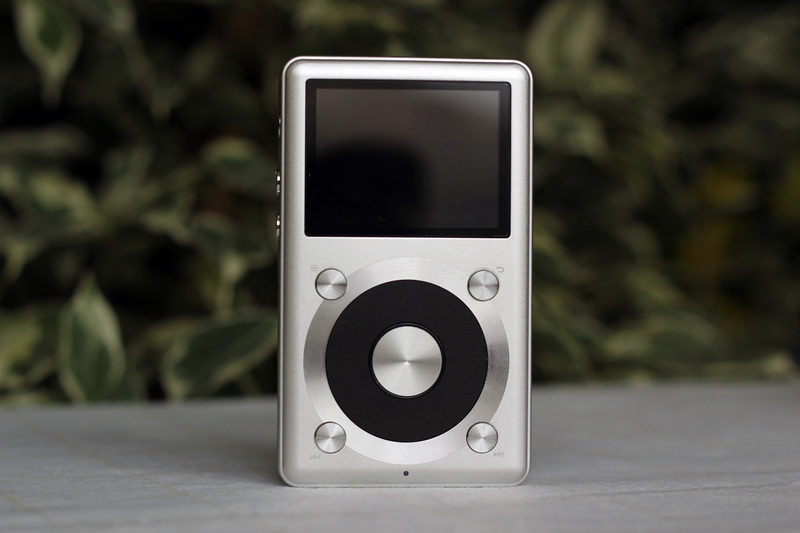 If you’ve read my review of FiiO X5, you would know that I was really impressed with it. Actually, even if it was on buy list since I’ve first listened to it, I just managed to get one for myself, just in time to compare it to X1. 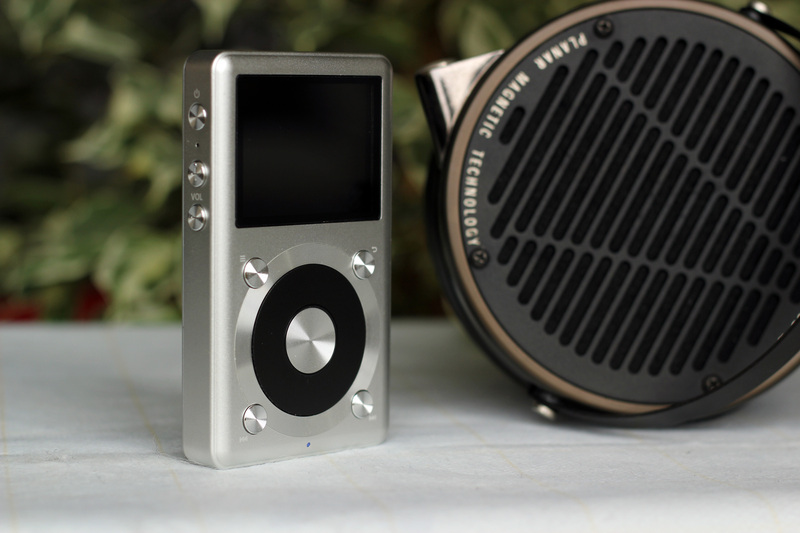 When I saw the price of the new X1, I thought it would sound something like FiiO E10, and surely below FiiO X3. I still have to hear the new improved E10k, as I’ve heard only good things about it too. What I am trying to say is that my expectations of X1 were kind of modest. I think that this little guy packs some good looks. It seems to be a smaller X5. For some this may actually be very nice as it’s easier to fit in the pocket, so it has a better portability factor than X5. The case is metal with the exception of the black cover which is plastic. The finish is overall nicely done and the unit is pleasant to touch. X1 has only the 3.5 mm headphone output, but this can be both headphone output and clean line-out, if selected from the menu. The power button has been moved on the left above the volume controls. X1 doesn’t have a storage of it’s own either, but you can add a micro sd card (SDXC) up to 128 Gb. I would say that this is sufficient for most users. The DAC chip used in x1 is one of the new generation from TI, the PCM5142, similar to the one found in E10k. The headphone amp found in X1 is 4 times less powerful than X3 and X5, so I wouldn’t expect power hungry headphones to be juiced up by X1. So it has an output of 100 mW in 16 ohms, still a lot more than a phone or a normal player. 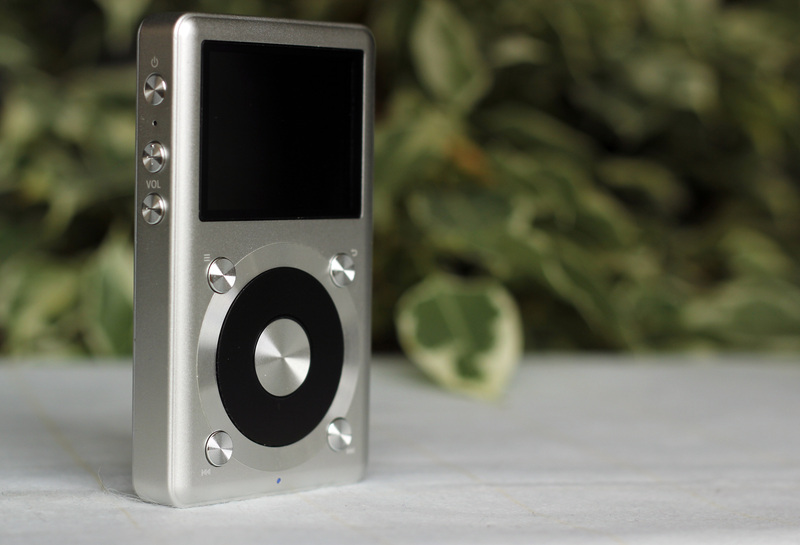 It supports all the importanf formats like APE, FLAC, ALAC, WAV, AAC, OGG, MP3, MP2 and it goes up 24 bit 192 Khz. X1 does not support DSD, but I don’t see this as a major minus, as I for one have rarely heard a good DSD recording at the moment. I have used it along FiiO X5 and with the following headphones : Shure SE535 LTD, Focal Spirit Classic, Audeze LCD-X, Sennheiser HD800. The first thing I noticed was a very punchy and deep bass. The voice had a lot of body and presence. The instruments were noticeable as well, especially the guitars which were very sparkly and fun. The overall feeling transmitted was very energetic and pleasant. While the song on x1 didn’t have the big soundstage, or details it had on x5, it managed to have a little more emotion as the sounds were fuller and a little more intimate. This being said, X1 still had enough details to make the trumpets and the guitars tickle your ears. The guitars plucks had good attack presenting an exploding note attached to it. The voice had good presence and extension again. This is where I missed X5 a little as the soundstage was smaller, the guitar extension not as detailed, instrument separation not as good. However, the song was still very enjoyable and still made me tap along. And there were some things that I enjoyed more on X1 as well, things like deeper bass, fuller sound, better attack, especially on the guitar plucks. The voice was fuller on X1 with a little better presence, but not the same natural tonality found on x1. The bass on Fiio X1 took over the scene from the first moments. It has more body and even more impact than the on X5, but it’s not so fast, detailed or controlled. The sound was very energetic, engaging and fun with good PRAT. The guitars from the beginning was enough to see that the detail retrieval is not quite in the same league as X5. The voices had better presence on x1, but they were better textured and more clear on x5, with a more natural tonality. The sound on X1 was a little veiled compared to X5, but still more emotional. The bass on FiiO X1 is very engaging and fun. It has very good punch and weight with a little emphasis on the sub-bass. Along with the mids, it makes the presentation of X1 to get a little departed from neutrality. It’s not as fast and controlled as the one in X5 but it’s very fun and engaging. This is one of the strongest parts of X1. The mids are very rich and give emotion to the songs. All sounds are full with good lower body extension. The treble is not as extended or present as on X5, but this may actually be one of the things that makes X1 more fun on some occasions. Even if not as clear as on X5 the voices are still great on x1, as they have better presence and extension, making them fuller and more emotional on many occasions. Even if not in the same league as X5, it still has a lot of details for it’s category. The attack on X1 is great, as it packs a lot of power and gives an explosive release of energy. This is another thing that I love about it. I think that in this department it’s even above X5. 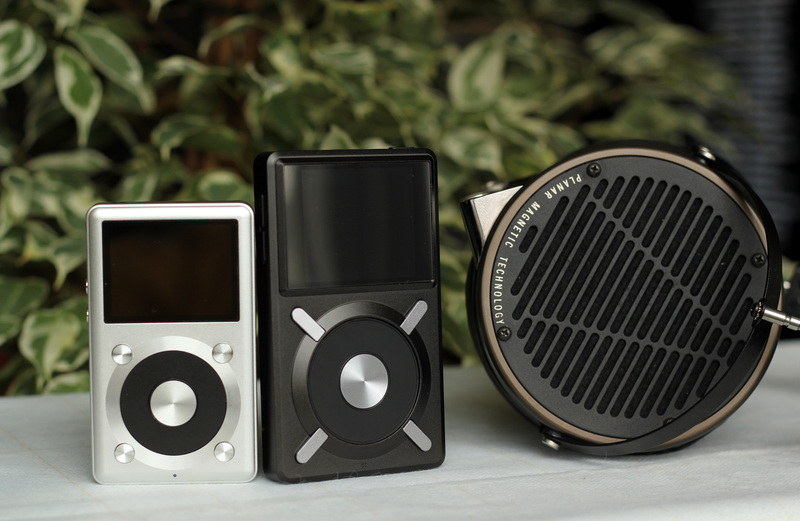 FiiO X1 has a very energetic and addictive sound that makes you want to tap along. Even if it’s not in the same league, I still think that X1 is a great player. It actually has some features both in sound and ergonomy that I like better than on X5. The first thing you see when you actually look at them is the size difference which for some matter, as X1 is considerably smaller than X5. Sound wise, X1 is more emotional with fuller sounds, more present voices and mids, punchier and heavier bass. X5 is more on the neutral side with more details, better instrument separation, faster, more controlled bass, larger soundstage. X1 has a more in your face, more intimate presentation, while X5 puts you a few seats further from the scene. If theoretically X5 is better than X1, the later still has some tricks up its sleeve to make it a game of preferences / taste in the end. Some of the pluses X5 has come from a more powerful amplifier. Testing them with very sensitive IEMS like the Shure 535 LTD, made the gap between them a little smaller, and I actually didn’t manage to pick a clear winner between X1 and X5, but after a lot of back and forth between the two, I was a little more attracted by the more emotional sound of X1 while using the shures. With bigger cans I ended preferring X5 in the end but X1 does a great job as well. I said bigger cans. By bigger cans I mean Focal Spirit Classic, Audeze LCD-X, and Sennheiser HD800. Yes, you have read correctly. Even if not on the same level with X5, I still manage to enjoy myself with X1 and Sennheiser HD800 and LCD-X. I am extremely happy with this product. Why? Because it brings extraordinary quality at a very generous price ( 100$ ). I don’t know any mobile player to even come close to it at that price. 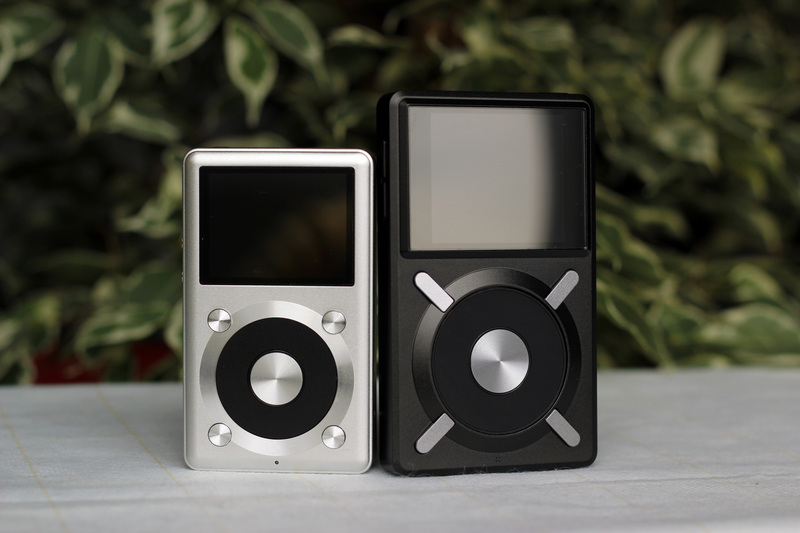 I did not have FiiO X3 for a comparison, but I was surely more impressed with X1 than with X3. Because of this and the fact that FiiO E10 has a new and better revision now, the FiiO E10k, I think X3 will also get a revision soon. I am seriously trying to find some cons for this product, but for the price, it is extremely hard to do so. Thanks for the review, I enjoyed the reading and the comparison to the X5! Given the price of the X1 it’s very tempting to buy one and wait for a perfected X5 successor (if needed at all). Great pictures by the way! Thank you for the kind words Frank. Bare in mind that FiiO x3 might get an upgrade soon, not X5. Is big headphones good to this device Fiio x1? i got Marshall Monitor on ear headphones. – And i live in Denmark (Scandinavia), can you recommend a good site where i can order this device? Can you compare the X1 with an affordable stackable AMP(Line-Out) to the X5. As that would still be cheaper then an X5. Unfortunately I had to give it back. You didn’t notice the floor noise the X1 has? It’s the worst I have heard in a DAP. Or did I miss that in the review? In that case: Oops. Didn’t notice that with the headphones in the test, except the shures, but it was similar to x5. I didn’t find a source with no noise fore shure 535 yet. I used X1 alone and with some external portable amps too powering a pair of sensible CIEMs. Nice review! I’m owning also a Shure SE535. Currently my source is a sony Z1 compact smartphone. Can you hear a big difference in sound quality when i will start using the Fiio X1? I’m thinking of buying a X1, but i’m not sure if the difference is big enough to spent money on it. Maybe you can give me some advice. Schakel, I did not test the shures with sony z1, but I suspect it would be a difference.